K12, Inc., the for-profit online virtual school company that made a bid to open up a statewide school in North Carolina, plans on settling claims that it misled investors. would pay investors $6.75 million, according to a preliminary settlement draft in federal court records and obtained by Education Week. Education Week reports that the lawsuit’s claims about academics and quality would be dismissed and the settlement would stick to allegations about how the company disclosed information about student enrollment and retention. The company prides itself on offering alternatives to families seeking alternatives for their local school systems, but schools run by the company have low graduation rates and performance outcomes. In Tennessee, where legislators approved the virtual school in 2010 after concerned push from K12 lobbyists, state education officials have found only 16 percent of the 3,200 students in the K-8 program performed at grade level in math. The company had made a push to open up a statewide virtual charter school in North Carolina in 2011 and 2012 by partnering with Cabarrus County Schools (which would get a kickback for agreeing to host the virtual school) but the State Board of Education, which authorizes charter schools in the state, did not consider its application. The matter is now held up in the appeals court. Since then, the State Board of Education passed a more stringent application process for virtual charter schools, cutting back on the per-student reimbursement and requiring that graduation rates are within 10 percent of the state average (which is up to 80 percent). N.C. Learns, non-profit organization put together by the company filed a letter of intent that it intended to apply to open for the 2014-15 school year, but did not submit an application by Friday’s deadline, according to a list of 70 prospective charter schools kept by the N.C. Department of Public Instruction. 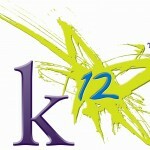 K12 could still get a chance to educate North Carolina students (and get a slice of North Carolina public education funding). Legislation creating virtual schools could appear this year, with top state leaders like Gov. Pat McCrory expressing interest in the virtual school.